Teltronics announces the release of Cerato SE, a cost-competitive and powerful converged voice and data communications system that addresses the requirements, challenges and budgets of the small business market. Cerato SE provides the capacity for integrated automated attendant, voicemail, unified messaging, and call recording, while accommodating VoIP traffic with voice compression. 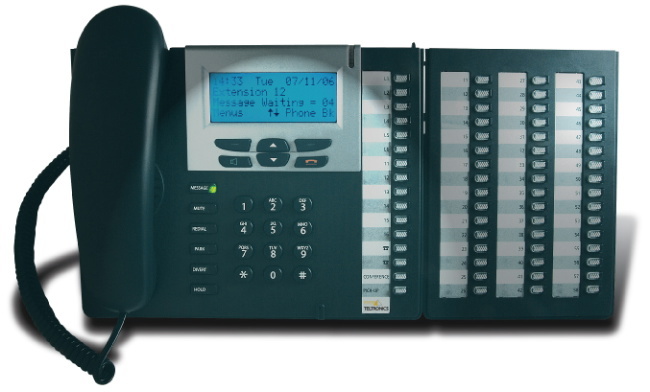 Cerato SE is a compact unit with a standard or executive digital phone, or an executive VoIP phone. Both executive phone models offer an optional Button Expansion Module (BEM). As standard features, the system provides PC dialing, call routing, remote extensions, SIP trunking and remote maintenance. CSR launches UniVox Mobile to enable mass market dual mode VoIP mobile handsets. A market, according to ABI Research, that is expected to grow to over 300 million handsets in the next five years. The UniVox Mobile reference design contains all the additional hardware and software to turn a mobile handset into a wirelessly enabled handset that can take and make Voice over WiFi (VoWiFi) calls. The hardware element of UniVox Mobile is based on UniFi, CSR’s single chip WiFi solution, and also includes Bluetooth functionality via a choice of BlueCore4-ROM or BlueCore5-FM. In addition to supporting VoWiFi, UniVox Mobile also enables WiFi to be used as the bearer for other services, such as web browsing and multimedia streaming. VocalTec partners with Energo Complect, a leading Russian systems integrator to Extend Sales of Essentra VoIP Solutions in Russia. VocalTec and Energo Complect will focus on the delivery of the Essentra VoIP solution to regional service providers and enterprises. The cooperation between the companies grants Energo Complect the ability to market, sell, install and support Essentra products. VocalTec’s recent class 4 certification by Infokom is expected to further enhance the market opportunity for both companies. Vocalscape announces that they have released a Load Balancer for Voice over IP (VoIP) systems. "Vocalscape has developed the Load Balancer to meet our customers' needs," commented Ron McIntyre, President of Vocalscape. "As our customers grow their user base, they will need to add additional servers to handle the higher volume of calls. The Vocalscape Load Balancer will allow them to evenly share the load among multiple servers." The Vocalscape Load Balancer began as an open source project which was adopted and improved upon by Vocalscape. It was made compliant with Asterisk, a popular open source PBX, and the algorithm was revised to more evenly distribute calls. Previously, the Load Balancer would send calls to a primary server and only when the primary server was overburdened would calls be sent to additional servers. The new algorithm balances the load by evenly distributing the calls between the servers. As an additional benefit, the Load Balancer provides failover capabilities. If a server is not responding, the Load Balancer will route all calls to servers that are functional. 3GSM World Congress 2007 in Barcelona, Spain is nearly here. I'm already receiving press releases about some VoIP news that will be coming out of the event. Meucci Solutions is launching its new Voice over IP Business Monitoring Service at the 3GSM World Congress in Barcelona. This is the response by Meucci Solutions to rising demand from mobile operators for a clear picture of the VoIP traffic over their networks. The VoIP Business Monitoring Service gives the operator a complete analysis of the VoIP traffic. Meucci Solutions also measures the quality of the calls made. This information is crucial for operators when making strategic decisions about VoIP. Read more here. Update: The promotion link in this article is now live on the Skype site, sometimes news come faster than development it seems. I just received an email about a new Skype promotion. "As the Chinese New Year is quickly approaching, Chinese ex-pats located in the U.S. and Canada will soon start calling China to wish their family and friends back home a Happy New Year." This promotion might be so new that their link www.skype.com/YearOfThePig doesn't exist yet, so keep an eye out for it to be working soon hopefully. Anywho here's the lowdown on the promotion thanks Chaim for the heads up. In celebration of the Chinese New Year, Skype announced that its users in the United States and Canada can make free calls to China, Hong Kong and Taiwan, through March 8. Launching today, the 8-8-8 promotion allows U.S. and Canada-based Skype users to redeem twenty-four minutes of SkypeOut credit to call landlines and mobile phones in China, Hong Kong and Taiwan, and wish friends and family abroad a Happy New Year. Such calls normally cost $.021 a minute plus a $.039 connection fee. Skype to Skype calls anywhere in the world remain free. WideBand Solutions introduces Simphonix Si-400 for the continually merging AV, IT and business telephony markets. Utilizing the next generation of speech processing algorithms, the Simphonix Si-400 delivers unmatched performance without the complexity of other systems. Additionally, the Simphonix Si-400 functions as a stand alone solution or can be easily integrated into a larger, existing system. WideBand Solutions has incorporated technology from its best-selling WebCallT WC301 product into the Simphonix Si-400, enabling hundreds of digital and VoIP telephones to turn easily into high-quality conferencing systems. WideBand Solutions was the first to introduce this technology to the industry back in 2004 and has now included it in the Simphonix line with an expanded list of manufacturers and systems that it is compatible with. The University of New Hampshire InterOperability Laboratory has been approved as the first external testing facility to pre-screen Internet telephony devices for compatibility with the services of Vonage Holdings Corp., a leading provider of broadband phone service. 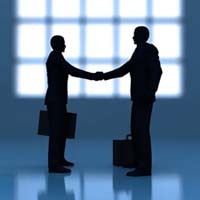 At Vonage’s request, vendors will ship test-products to the UNH-IOL for analysis of their calling abilities as well as their interoperability with the multi-vendor Vonage network. Once tested at UNH-IOL, the equipment will be tested in the carrier’s own lab. Pingtel announced that Network World has named Pingtel as one of the top ten VoIP companies that warrants attention as the business environment shifts its voice technology. Pingtel was recognized for its Linux-based SIPxchange ECS solution—a 100% native SIP, enterprise-grade, full featured, software-based SIP PBX with integrated voice mail, ACD, multiple auto attendants and a web-based plug & play system configuration and management tool. StrikeIron announced the first ever Telephony Mashup Contest to take place during the O’Reilly Emerging Telephony Conference. This new contest provides a stage for developers to demonstrate their creative skills using emerging telephony technologies such as VoiceXML, SIP phones, VoIP, hosted PBX & IVR services, and Web Services. In addition to StrikeIron and O’Reilly, Tellme Networks, Inc. and Sylantro are sponsoring this contest with $3,000 of prizes to winning entries. For more on this contest, please visit www.strikeiron.com/developers/contest.aspx. A telephony mashup is a voice, Web, or mobile application (VoiceXML, PBX, IVR, VOIP, SMS, Text Messaging, etc.) that combines content from more than one source to create a new user experience. Qualifying entries must demonstrate how an application can use one or more sources of content in an inventive way to benefit users. Any application that combines content with telephony services (ex: VOIP, SMS, Text Messaging, PBX, IVR) to create a mashup is qualified for submission. Fonality announces the Fonality trixbox Open Communications Certification (FtOCC) workshop, the first in a series of training and certification courses for the trixbox application platform. trixbox, the largest and fastest growing Asterisk-based platform and community, is quickly becoming the de facto standard for open source telephony. The FtOCC program will provide the tools and knowledge necessary to successfully implement trixbox in a business environment. The total market for business VoIP and IP VPN services will grow from $6.4 billion in 2006 to $15 billion in 2012, according to "Business VoIP Revolution 2007-2012: The Opportunity. The Market. The Players." -- a new study by leading telecommunications research consultancy and benchmarking firm ATLANTIC-ACM. "Growth in the enterprise VoIP space will be driven by increased mainstream adoption of VoIP among businesses," said Aaron Blazar, ATLANTIC-ACM analyst covering the Business VoIP sector. "As concerns over quality and security fade, VoIP represents the next major wave of communications services adoption in the business community. While these concerns do remain as holdovers from VoIP's early days, they are beginning to subside, setting the stage for rapid adoption beginning in the 2007 to 2008 time frame." "Business VoIP Revolution 2007-2012: The Opportunity. The Market. The Players." is a comprehensive overview of the enterprise VoIP space, including market statistics and projections, case studies of major players, detailed technology overviews and in-depth analyses of adoption drivers and obstacles. The 150+ page study is affordably priced at $1,495. Interested parties can find more detailed information in the reports section of ATLANTIC-ACM's website at www.atlantic-acm.com/reports/. Global Crossing announced that Technology Marketing Corporation's INTERNET TELEPHONY magazine has recognized Global Crossing VoIP On-Net Plus Service with its 2006 Product of the Year Award. Global Crossing VoIP On-Net Plus is one of the industry's first fully integrated IP network-based voice Virtual Private Networks. It helps enterprises worldwide migrate to a fully converged, IP solution by consolidating voice and data networks on a single IP network. It also simplifies network management and telephony administration by migrating existing voice VPNs to an IP platform. With the VoIP widget, jointly developed by JAJAH and Pageflakes, everyone is able to make cheap or even free calls just as easy as making a traditional landline call. What's more: Now users don't even have to leave their browser startpage to initiate a call. Until recently, most low-cost computer calling solutions were accessible only to the technically savvy with a broadband Internet connection - times have changed. No headset, no download and no broadband connection. 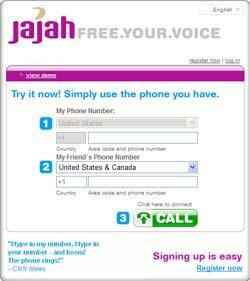 Last year, JAJAH launched a revolutionary new solution that allows users to make VoIP-based phone-to-phone calls without technical obstacles. Callers simply enter both their own phone number and the desired destination number on www.jajah.com, and JAJAH connects the call. By teaming up with Pageflakes, a leading player in the rapidly-growing startpage space, JAJAH is now taking VoIP convenience and simplicity to a new level again. Users can now add a little widget to their personal startpage at www.pageflakes.com and initiate calls from the widget - without having to go to any other website. Allworx continued its ongoing support of community-based educational initiatives by donating its industry-leading VoIP technology to the Rochester Institute of Technology (RIT). Allworx has donated multiple Allworx 10x VoIP systems, and corresponding 9112 VoIP phones, to help equip a state-of-the-art communications learning laboratory at the Rochester Institute of Technology.